Julia Nemchuk is a speech-language pathologist in San Francisco, CA. Practice Type: • School Practice Areas: • Speech Language Pathology • Speech Therapy Take the next step and contact Julia Nemchuk for a consultation in San Francisco, CA or to get more information. Providing speech, language, voice and listening therapies. Logopedia Speech & Language Therapy, Inc. In private practice since 1991 providing functional speech, language and swallowing therapy in the patients familiar environment; home, office, or community. I work with patients at any stage post-onset and at any stage in their adult life. Intel executive Sean Maloney is my patient. You can do an internet search for our two names for the latest public information. Maria Natad-Mapagu is a speech-language pathologist in Castro Valley, CA. Practice Type: • Home Health Agency - Client's Home Practice Areas: • Speech Language Pathology • Speech Therapy Take the next step and contact Maria Natad-Mapagu for a consultation in Castro Valley, CA or to get more information. Jigna Patel is the owner and operator of Eager Communicators, Inc. She has worked with children as a Speech-Language Pathologist since 2000. She provides individual speech and language services to children. Speech and language assessment, intervention, consultation, and screening services are offered to help improve functional and independent communication skills. North Bay Speech is a pediatric speech, language and orofacial myofunctional therapy practice serving Central and Southern Marin. Jill provides services in the home setting as well as at daycares, preschools, and private schools. 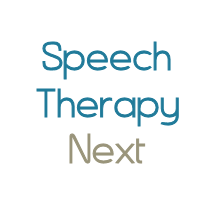 North Bay Speech is a private pay practice offering both 30 minute and 60 min therapy sessions. Katelyn Sellers is a speech-language pathologist in Santa Clara, CA. Practice Type: • Office Practice Areas: • Speech Language Pathology • Speech Therapy Take the next step and contact Katelyn Sellers for a consultation in Santa Clara, CA or to get more information. Serving patients and their families since 1998. Specializing in children with autism spectrum and other relationship disorders as well as feeding disorders. Offer Hanen classes for parents. Individual and small group settings available. Parent/caregiver training and consultative services available. Highly experienced with adults with TBI.